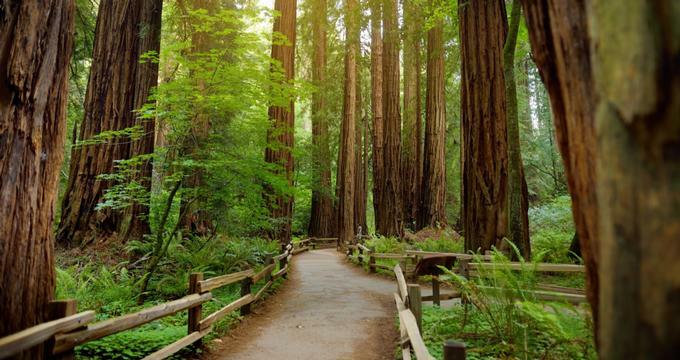 Home to the tallest and one of the most massive tree species on earth, Redwood National and State Parks attracts visitors from all over the world. Due to the high number of people who flock to the area, Crescent City, Trinidad, and other surrounding cities and towns are home to some amazing hotels, motels, and lodges that can accommodate your needs whatever they may be. 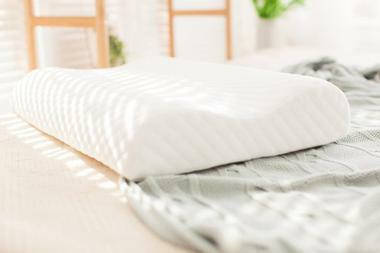 Low cost, modern amenities, distance from park, on-site excursions, and levels of seclusion are just some key factors to consider when deciding on a place to stay. That said, the accommodation options we’ve listed below are all near Redwood National Parks and have a range of services to ensure you have an exciting and memorable vacation. Though Anchor Beach Inn has many comforts and amenities, one of the main reasons it is popular with those visiting Crescent City is its close proximity to the beach. Guests will be able to see the beach from most of the inn’s rooms and easily cross the 0.1-mile distance to get there. The contemporary lodging lets you explore the natural beauty of California; in addition to the beach, guests will also find Redwood National Park, which is home to lush forests, rivers, and lakes. There are many fun natural attractions nearby that the entire family will enjoy such as the Drive-Thru Tree, Trees of Mystery, and Ocean World. The Best Western Arcata Inn is a great base to settle into before delving into all the beautiful sights and attractions in the area. The location puts guests near Redwood Forest and the beaches, where visitors can spend their time hiking, kayaking, fishing, swimming, and much more. In-hotel perks include guest use of the heated indoor/outdoor swimming pool, which is open all year long, and a complimentary deluxe continental breakfast complete with biscuits, gravy, waffles, and more. Nearby sights, attractions, and events other than those in Redwood National Park include Avenue of the Giants, New Humboldt Bay Wildlife Center, and the Van Duzer Theatre. 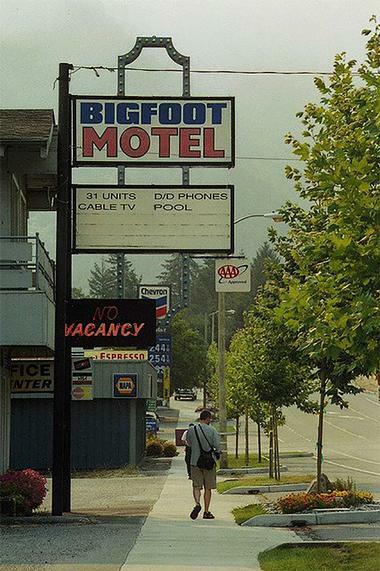 Exploring and looking out for Bigfoot is the reason many people from all over the world have come to this renowned motel. It has been the gateway for Bigfoot enthusiasts to come and stay for days, weeks, months – as long as it takes to catch sight of the mythical creature. The Bigfoot Motel provides all the comforts of home, and rooms may include a fully-furnished kitchenette complete with microwave, oven, stove, refrigerator, and utensils. Other motel amenities are free on-site parking, free WiFi, DirecTV, flat screen televisions, in-room working stations, dining table, and rooms with handicap accessible bathrooms. A little over fifteen miles from Redwood National and State Park, Bishop Pine Lodge is the perfect accommodation for guests who are looking for a place that is a little more rustic and outdoorsy. The lodge includes free-standing log cabins that can be found hidden within a forest filled with fir and redwood trees. 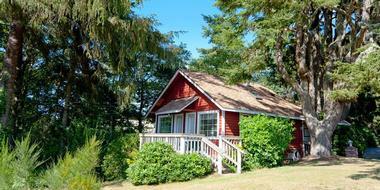 Each of the cabins can house up to five people and are both kid-friendly as well as pet friendly. Guests will have access to amenities such as free parking, an on-site restaurant, and an adults-only gym, as well as perks in their cabin such as premium cable television, outdoor decks, and a fully-equipped kitchen. The central garden area is fitted with a gazebo and picnic tables for guests to enjoy as well. Minutes from rugged mountain surroundings and the stunning Pacific Ocean, Blue Lake Casino & Hotel is a premier entertainment destination on the Redwood Coast. 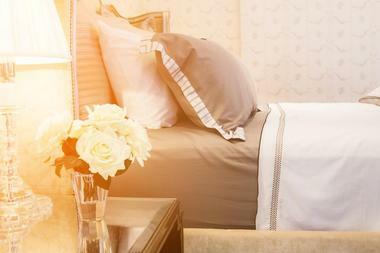 Guests will enjoy a memorable boutique hotel experience during their stay. It is the perfect base for exploring Humboldt County and Redwood National Park. 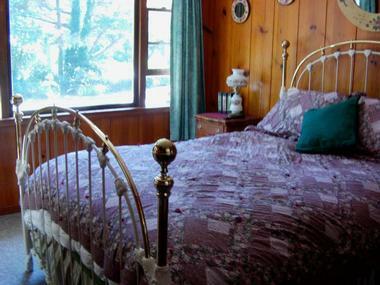 The spacious rooms at the hotel offer views of the pristine forests and the gorgeous Mad River Valley that surround it. Amenities include an outdoor heated swimming pool, access to any of the HealthSport Gym outlets throughout the county, and daily entertainment in the hotel’s award-winning bar and night club. Coho Cottages are an assortment of luxurious vacation cabins perched on the side of a mountain between Redwoods National Park and the Trinity Alps Wilderness. The cottages are owned and operated by a family who has been there for over a hundred years, and they love sharing their stories and secrets with guests who are looking for an adventure in the secluded region. The cottages also double as a base camp for the more adventurous, who can take part in activities like white water rafting or hiking through the Redwoods. Guests who want a more relaxed getaway can just enjoy their serene surroundings or take a walk at Creekside Park. The Crescent Beach Motel offers beachfront lodging at competitive pricing for those visiting the area. 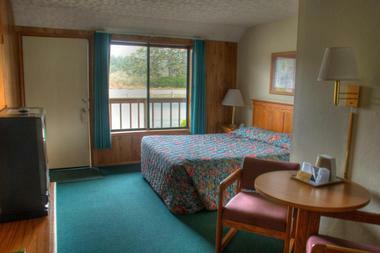 Focusing on utmost comfort and a wonderful location, the motel’s rooms offer stunning panoramic views of the oceanfront. While there, you can enjoy lounging on the deck, flying kites, watching whales, and walking on the beach. Amenities at the motel include cable television, wireless internet, and a complimentary breakfast complete with oatmeal, fresh fruit, coffee, tea, and hot chocolate. Nearby attractions and activities guests can check out include exploring the ancient Redwoods, kayaking, whitewater rafting, or visiting the Saint George Reef Lighthouse or the Battery Point Lighthouse. The Curly Redwood Lodge is one of northern California’s most unique lodges as it was built with 57,000 board feet of lumber produced from one curly redwood tree. The lodge is right across the street from the beaches and harbor and a mere five minutes away from Redwood National and State Parks. Visitors can spend their time hiking through the lush forests or taking a walk on the pristine beaches. Other activities include fishing on the Smith or Klamath Rivers, picnicking, playing a round of golf, river rafting, whale watching, surfing, touring the local cheese factory, or exploring the region’s many lighthouses. 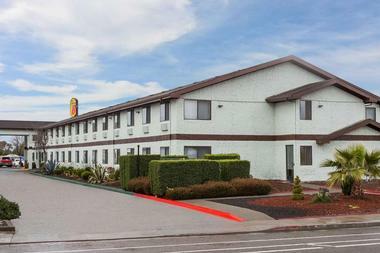 Days Inn & Suites Arcata is a part of a renowned chain that provides comfortable accommodation at competitive prices in locations across the United States. 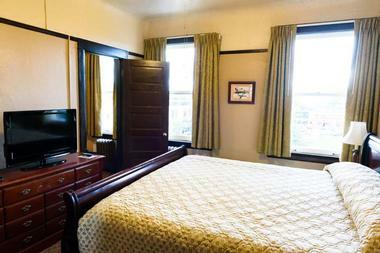 The Arcata inn is a charming hotel with spacious accommodation options for parties of all sizes. It can be found right in the middle of the area’s most famed attractions such as Redwood National Park, Humboldt State University, and much more. The lodging has many conveniences to make their guest’s stay a memorable and enjoyable one; facilities include a heated swimming pool, rejuvenating hot tub, delicious continental breakfast, free WiFi, and pet-friendly rooms for those travelling with their furry friends. 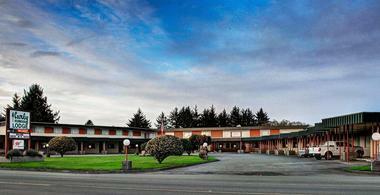 The Fairwinds Motel in Arcata can be found right along the 101 Freeway on California’s stunning north coast. The motel is situated between Redwood National Park and Humboldt Redwoods State Park, making it one of the most perfectly located motels for guests who are there to explore all the natural wonders and adventurous activities you can find there. In addition to seeing the world’s tallest trees, guests will also be able to walk the trails, go hiking, enjoy mountain biking, try their hand at fishing, or enjoy other water activities available in the area. 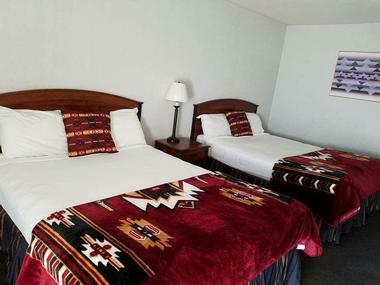 The motel is also surrounded by museums, parks, and other attractions that are fun for the entire family. The Holiday Inn Express Klamath at Redwood National Park is the perfect base for guests who are adventuring into Redwood National and State Park. In addition to the lush parks, there are so much attractions and sights surrounding the hotel for visitors to enjoy. Popular places include the Trees of Mystery, the Klamath Jet Boats, and the Redwood Casino, which is adjacent to the hotel. 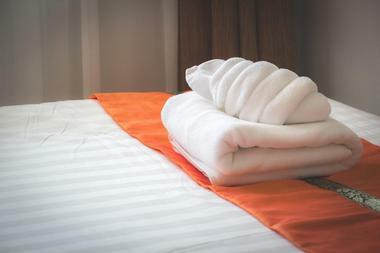 The rooms are stylishly decorated and filled with amenities to make your stay better. Features include a refrigerator, microwave, WiFi, an executive desk, cable television, and a wet bar. 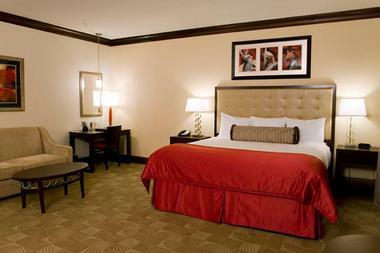 Other room features that guests appreciate are the blackout shades, pillow menu, and temperature control in each room. Hotel Arcata is a gorgeous hotel surrounded by a stunning downtown location filled with shopping, dining, and attractions that people come from far and wide to see. The hotel is a short drive to Redwood National and State Park as well as several popular beaches, and it’s just a quick walk to Humboldt State University and the Arcata Marsh. The hotel itself is housed within a historic building that was built in 1915, but guests will have access to amenities like hot tubs, a sauna, a swimming pool, and a fitness center at a nearby facility. 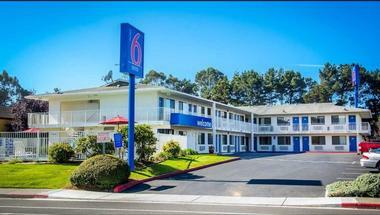 The Motel 6 Arcata - Humboldt University is a great accommodation option for visitors who want to be right in the middle of great attractions such as Redwood National and State Park, the Sequoia Park Zoo, and several stunning California beaches. Kids always stay free at the Motel 6, while other complimentary amenities include coffee, cable, local telephone calls, and use of the motel’s outdoor swimming pool. 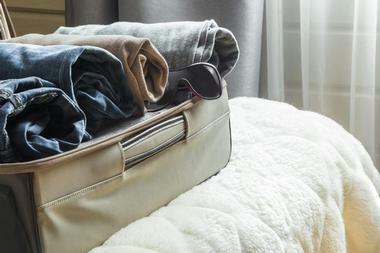 There are facilities available for WiFi as well as a laundry center for guests to use during their stay. 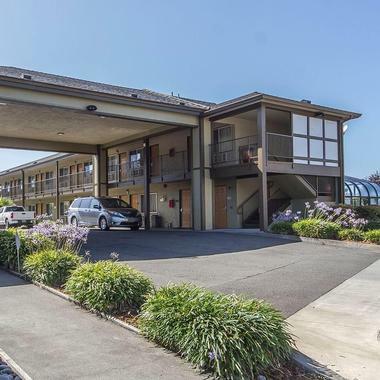 The motel has many restaurants, public transportation, and is a short distance from the airport, making it one of the most convenient options for guests looking for accommodation near Redwood Parks. Uniquely shaped like the letter “M,” Motel Trees is a vintage 1950s motel that visitors from all over the world have called home during their exploration of Redwood National and State Park and other nearby attractions. The motel has a long history and is an integral part of the community, doubling as a school and residence for many locals during the 1,000-year-flood. Over the years, Motel Trees has renovated its 23 rooms to provide modern amenities and the utmost comfort to their guests. Amenities and the view offered vary from room to room, but the included basics are WiFi, television, in-room phone service, fresh linens and towels, and an in-room coffee maker to refresh yourself throughout the day. Ocean Grove Lodge is situated in the scenic fishing town of Trinidad and is surrounded by the stunning harbor, piers, and public beaches. The affordable accommodation is a great choice for those travelling as a family, as it has many kid friendly amenities and a menu that caters to the little ones. The lodge is surrounded by 2000-year-old redwood tree groves and crystal-clear beaches that guests of all ages love exploring during their stay. Some of the rooms may be fitted with amenities such as a refrigerator, microwave, or coffee makers, while other rooms have a fully functional kitchen, which is very handy for those there on an extended vacation. 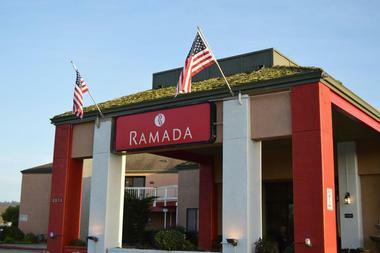 The Ramada by Wyndham Arcata is considered one of the best accommodation options in the area. The hotel has a fabulous location right amidst the Pacific Ocean beaches and the stunning Redwood National and State Parks. It is the ideal lodging for those who are looking to spend some time exploring everything the area has to offer, and it just a short drive from the airport for those who are flying in. There are tons of amenities within the hotel such as an extensive breakfast buffet, fitness center, outdoor swimming pool, free WiFi, and a patio fitted with fire pits and a barbecue grill. 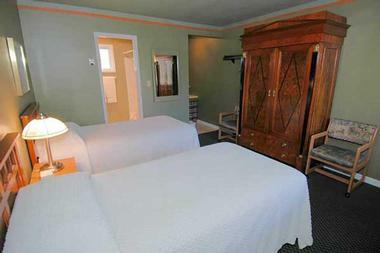 Each room has flat-screen televisions, recliners, a microwave, and a plush bathrobe to relax in. Found in the heart of Redwood National Park, the Ravenwood Motel is a delightful place for visitors to stay as they explore their surroundings. The motel boasts immaculate rooms, a guest laundry service, and gorgeous gardens to spend the evening in. It’s the perfect place for adventure seekers who want to spend their holiday fishing, bird watching, hiking, beachcombing, or sightseeing. The quiet location ensures that all the guests can have a relaxing and serene environment to rest after a day of exploring. There’s no better place to experience America’s Wild Rivers Coast than at the Ravenwood Motel. 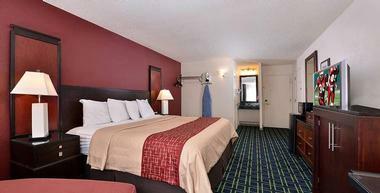 The Red Roof Inn is renowned nationwide for offering clean, comfortable accommodation at competitive pricing. The inn in Arcata is surrounded by the majestic Redwood Forests, giving its guests a great base to start their exploration of the national and state park. All the guest rooms come with free WiFi, an in-room coffee maker, and a flat screen television, while other rooms with microwaves and mini-refrigerators are available. Additional hotel features and amenities include close proximity to the airport, free on-site parking, a business center with meeting facilities, free long-distance calls, and a snack center to satisfy those late-night cravings. Sea Cliff Motel offers a memorable getaway in the gorgeous Patricks Point Drive. The inn has a variety of rooms to accommodate groups of any size, whether it’s a couple or a group of friends. All rooms have coffee makers, flat screen televisions, refrigerators, and free WiFi. The motel sits on two acres of lush land, ensuring that all guests have a tranquil experience. The motel is minutes away from a handful of beaches, so guests can choose from spending their day at Trinidad Head, Moonstone Beach, or Clam Beach. You’re also a short drive away from Patricks Point Drive and the Roosevelt Elk Herds while staying here. 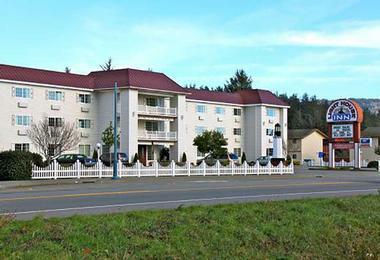 The Super 8 by Wyndham Arcata is a comfortable and cost-effective accommodation option for those who are in the area. From the Super 8, guests can easily access Redwood National Park, the Arcata Marsh, downtown Arcata, and Humboldt State University. The hotel is also near harbor cruises, several casinos, and several other attractions that the region is renowned for. Complimentary amenities include a daily SuperStart breakfast, WiFi, and on-site parking, while the rooms come equipped with microwaves and refrigerators. 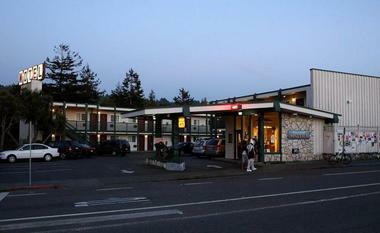 The Super 8 Arcata is also one of the few hotels that is pet friendly and allows for RV parking on site. Crescent City’s number one hotel, the Lighthouse Inn is a stunning accommodation on the Northern California Coast. The inn has a laid-back, relaxed atmosphere that reflects the small town it resides in. Guests have so much to look forward to in the hotel and its surroundings; the inn is steps away from the renowned South Beach as well as other attractions like Pebble Beach, the Battery Point Lighthouse, St. George Reef Lighthouse, and much more. The graciously decorated rooms include amenities like fireplace, jacuzzi bath, and mini kitchenettes complete with a coffee maker, microwave, and refrigerator. 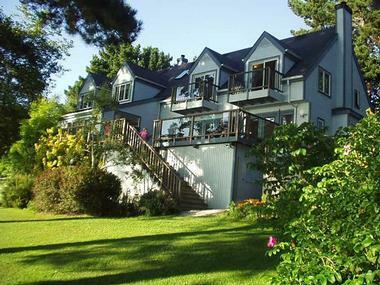 The Lost Whale Inn is a beautiful oceanfront bed and breakfast located right in the heart of the Redwoods. It’s a stunning base to take excursions through tall trees, wade through tide pools, and walk mile after mile of sandy beaches while the cliffs tower around you. Guests who want a more adventurous holiday need look no further as the inn can arrange for activities such as ocean kayaking, hiking, river rafting, mountain biking, horseback riding, and much more. In addition to quick access to Redwood National and State Parks, guests will also get perks like gourmet breakfast, spa services, and various other amenities. Overlooking the Trinity River, the Tsewenaldin Inn provides clean and spacious accommodation options for those who want to explore the Redwood National and State Parks. The excellent accommodation provides rooms for reasonable costs, and the 24-hour desk service always has friendly and helpful staff on hand. Each of the rooms has a balcony with stunning views of the surroundings, while other features of the inn include an outdoor pool and spa, free WiFi, in-room coffee, free cable, and complimentary parking. Guests will also be able to easily reach the fishing access trails to enjoy their day fishing or rafting. You can even go on a native tour arranged by the staff or spend some time at the Hoopa Tribal Museum that is adjacent to the inn. Turtle Rocks Inn is an oceanfront bed and breakfast found on a wind-protected cove right next to the Northern California Coast. Fodor’s have even claimed that the inn offers “the best view in Trinidad,” and rightly so as guests will be able to overlook sweeping vistas of the ocean and its surrounding rock structures. The bed and breakfast sits on three acres of dramatic coastline and features private bathrooms, contemporary furniture, private glass-paneled decks, and WiFi. There’s even numerous communal decks that include a two-tier whale watching area and multiple rocking chairs and chaise lounges for relaxing. All guests can start their day with a full gourmet breakfast buffet and help themselves to drinks and snacks all day long. Just a few miles away from the coastal community of Trinidad, the View Crest Lodge is a relaxing and rustic retreat for visitors to enjoy. There are twelve rooms in the lodge, giving it a cozy and comfortable atmosphere that guests fall in love with. The stunning hillside surrounds the lodge, making it one of the most peaceful natural surroundings in the state. The cozy cabin-like lodges are the perfect home away from home, complete with a little dining area and a fully-functional kitchenette with a stove, oven, microwave, coffee maker, and fridge. Some of the lodges even have a whirlpool tub for a relaxing rinse after a day of hiking and exploring.